Abby’s House is looking for a part-time Onsite House Manager to work nights and weekends. Interested candidates should send cover letter and resume to *protected email* and explain why they are interested in the position. 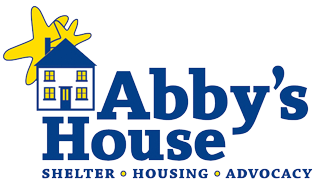 Abby’s House mission is to provide shelter, housing and support services to women, with and without children, who are homeless, abused and low-income. The Onsite House Manager is responsible for monitoring and enforcing Abby’s House residential rules at 52 High Street and for helping to foster a positive living environment among residents. The building includes 56 units of single rooms with shared kitchens and baths for women. Under the supervision of the Director of Housing, the Onsite House Manager will reside on-site to ensure safety and security, and the orderly use of shared facilities and common areas. Work hours are primarily in the evening from 7:00 p.m. – 9:00 p.m., Monday, Thursday and Friday, and 6:00 p.m. – 8:00 p.m. on Saturday to monitor the property when regular staff are not present. Housing is provided at no cost. If you are interested in applying for this position, please send a resume and cover letter to gro.e1556137245suohs1556137245ybba@1556137245snoit1556137245acilp1556137245pa1556137245. In your cover letter, please describe your fit with the mission and values of Abby’s House. Abby’s House owns and manages 4 properties that are located in the Crown Hill Historic District and downtown area in the City of Worcester, MA. The properties include a 9-bed shelter for women, with or without children; a 7 two-bedroom apartment building for women with children; 16 SRO’s with shared kitchens and baths for single women; office headquarters at 52 High Street that include staff offices, a thrift shop, a kitchen and program space, and 56 SRO’s with shared kitchens and baths for single women. Abby’s House is currently undergoing a $16.2 million renovation at 52 High Street. Construction is expected to be completed in May 2019. The Facilities Manager manages the maintenance of all facilities, grounds and equipment and performs all basic maintenance repairs. The Maintenance Manager plans, budgets and performs or schedules all minor/major repairs and reviews proposals for any capital projects and offers recommendations. He/she manages contractors and ensures compliance with budgets and service contracts. The position is a member of the Property Management Team, and he/she reports directly to the Director of Housing. The following list is not necessarily an exhaustive list of all responsibilities and requirements associated with this job. Candidates must possess the following qualifications: ability to perform basic repairs; general knowledge of building systems, including plumbing and electrical; familiarity with major repair and building renovations; ability to be sensitive to the needs of women and maintain confidentiality standards at all times and exemplify compassion, hospitality, inclusiveness, and respect; ability to communicate effectively; basic word processing skills; ability to work occasional evenings and weekends and to respond to on-call emergencies; bilingual abilities preferred. This position is a regular, full-time position. Regular, full-time employees are scheduled to work 35 hours per week. Salary range is $40,000-$50,000 and is commensurate with experience. Abby’s House annually offers 4 weeks of paid vacation time, up to 40 hours of paid sick time, and 11 paid holidays. Abby’s House contributes 70% toward the premium of a family or individual insurance plan that is offered through Abby’s House, and offers short term and long-term disability insurance and life insurance. Each employee is highly valued and appreciated. Abby’s House is an equal opportunity employer and welcomes diversity at all levels of the organization. If you are interested in applying for this position, please send a cover letter and resume to gro.e1556137245suohs1556137245ybba@1556137245snoit1556137245acilp1556137245pa1556137245. We will accept applications until the position is filled. Please apply as soon as possible. Abby’s House (Abby Kelley Foster House, Inc.) was founded in Worcester, MA in 1976. A nonprofit organization, we provide shelter and affordable housing as well as advocacy and support services, to homeless, battered, and low-income women, with or without children. Abby’s House is looking for a part-time Receptionist to work 10-20 hours per week on weekends from 8:00 a.m. – 4:00 p.m. and/or 4:00 p.m. – 9:00 p.m., and occasional week nights from 4:00 p.m. – 9:00 p.m. Rate of pay will be $12-$14 per hour, commensurate with experience. Interested candidates should send cover letter and resume to gro.e1556137245suohs1556137245ybba@1556137245snoit1556137245acilp1556137245pa1556137245 and explain why they are interested in the position. Handling all inquiries in Reception, including phone calls and walk-ins in a respectful and friendly manner. Responding respectfully to any needs that may arise among residents and shelter guests during your shift. Receiving all in-kind donations (Thrift Shop, Kitchen, etc. ), and ensuring accurate completion of necessary documentation. Responding to emergency situations, contacting 911 and/or emergency on-call staff, according to Abby’s House protocol. Recording all activities and observations in a daily log book each shift. Assisting residents with the completion of maintenance request forms or incident report forms. Conducting routine tours and walkthroughs of the building to ensure safety and security, and take required action to keep exterior entrances, hallways and stairways clear of ice, snow and other obstacles. Successful candidates must exemplify hospitality and respect to volunteers, donors, guests, residents, and staff at all times, and value people of diverse backgrounds and experiences. He/she must have excellent interpersonal and active listening skills, demonstrate passion for Abby’s House mission and values, maintain the confidentiality standards of Abby’s House, and keep a safe, secure and respectful environment at 52 High St. Minimum of 1-2 years’ experience working with vulnerable populations. High School Diploma or equivalent required with some college experience desired. Spanish speaking abilities are preferred but not required. Abby’s House is looking for a person to provide backup, on-call overnight shelter coverage, during the hours of 5:30 p.m. – 8:00 a.m. Backup Overnight Shelter Staff are allowed to sleep part of the overnight shift and provide coverage for 2 nights per month on average to cover unexpected staffing shortages. The rate of pay is $174 per night. Days vary and include weekends. The primary responsibility is to respond to any needs that may arise during the shift, maintain a safe, secure, respectful environment for shelter guests, monitor guest behavior and safety by observation, log occurrences, and perform light housekeeping duties. Affordable individual single room housing within Abby’s House community maybe available. Interested candidates should send a cover letter and resume to gro.e1556137245suohs1556137245ybba@1556137245snoit1556137245acilp1556137245pa1556137245 detailing why they are interested in this position. Enforce and follow established shelter guidelines, practices and policies. Provide orientation to guests of facility and perform safety procedures upon guest arrivals. Perform safety observations, and provide crisis intervention, and support to shelter guests as needed. Respond to phone calls and offer active listening, support and information. Perform visual inspections of incoming guest belongings, observing behavior and consistent and accurate signing in/out of shelter guests. Keep an accurate, complete log of occurrences, incident reports and bed assignments. Perform visual checks of sleeping areas as required during lights out hours overnight. Maintain high standards of cleanliness and sanitation. Communicate with the Shelter Advocate and the Director of Supportive Services on an ongoing basis. The Backup Overnight Shelter Staff must exemplify hospitality and respect to guests, staff, donors and volunteers at all times, and value people of diverse backgrounds and experiences. She must maintain the confidentiality standards of Abby’s House and must keep a safe, secure and respectful environment. Minimum of 1-2 years’ experience working with vulnerable populations; a good understanding of women’s issues and homelessness with the ability to make prudent judgments and deal effectively with people in crisis and non-emergency situations. High School Diploma or equivalent required with some Human Services experience desired. Bilingual speaking abilities are preferred, but not required. Join the Abby’s community. Subscribe to our e-newsletter. Through your support in 2018, we were able to provide safe shelter to 43 women and 16 children. Our 9-bed, overnight shelter provides women and children a safe stay for up to 90 days. During that time, women work 1:1 with advocates and come up with individualized empowerment plans to help them secure long-term housing. © Copyright 2019 Abby Kelley Foster House, Inc. All Rights Reserved. Site developed by PENTA Communications, Inc.